I have just returned from a week of fishing at 1770 and its surrounds. I camped at Wreck Rock, about 15kms south of the town of 1770. 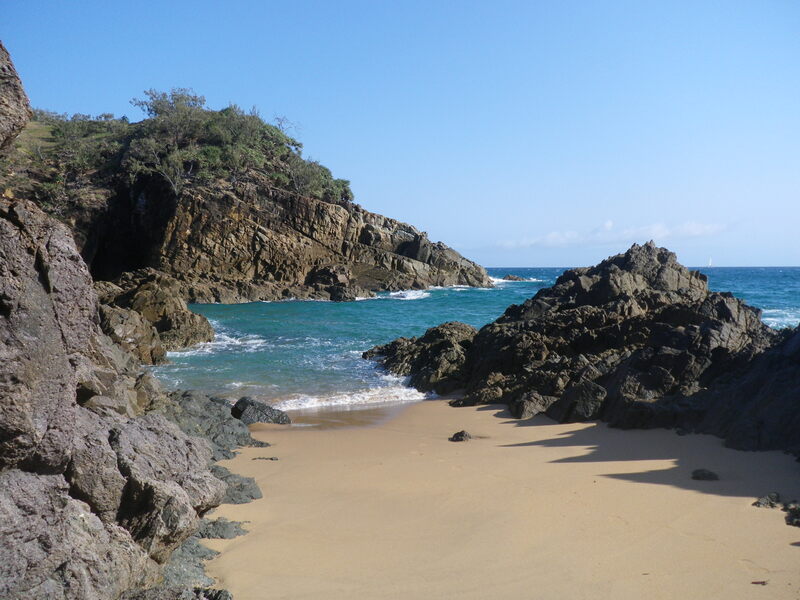 Wreck Rock is located in Deepwater National Park and can be reached by driving south, out of Agnes Waters, on a sandy four-wheel drive track. There are about a dozen campsites dotted through the trees behind the beach, a composting toilet and cold, outdoor shower, fed by bore water. There is also a large rainwater tank for drinking water. It is a very quiet spot and is an ideal base to fish the surrounding headlands and beaches. I did a little research on Google Earth prior to this trip and located a few spots that I would try to fish. I was looking for spots with a bit of deep water and structure, in close to the shore. My trips to this area, over the last couple of years, have usually produced similar results – I can usually catch a respectable tally of Trevally, Bream, Dart, Whiting, Spanish Flags (Stripey Perch) and the odd Flathead that provide my daily sustenance. But the bigger fish can be harder to locate. There are very fishy looking spots at the end of almost all the beaches and bays, but they do not all hold fish. One problem is that the big fish in this area, the pelagic species – move fast and they keep moving, chasing the bait schools up and down the beaches. If you are land based, you cannot really follow them. You just have to pick a likely spot and hope they will come by. Invariably, by the time they arrive you have downgraded to your light gear, to try to catch the smaller fish and so when the rod bends over and the reel starts screaming, you don’t have the power you need to subdue the fish. 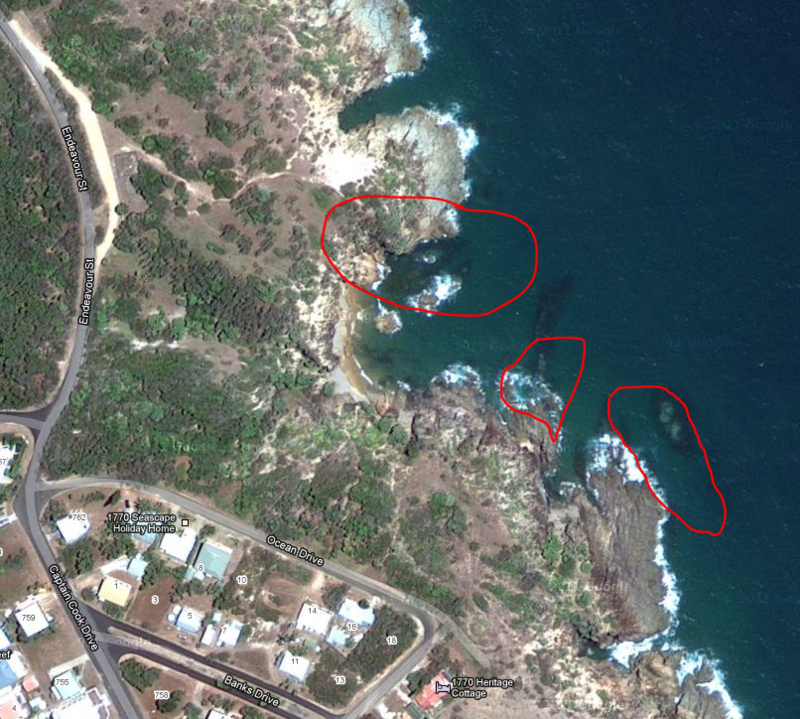 On Thursday morning I focused on the headlands just south of the main look out at 1770 (see aerial photo). The bay I was fishing was just below Ocean Drive. 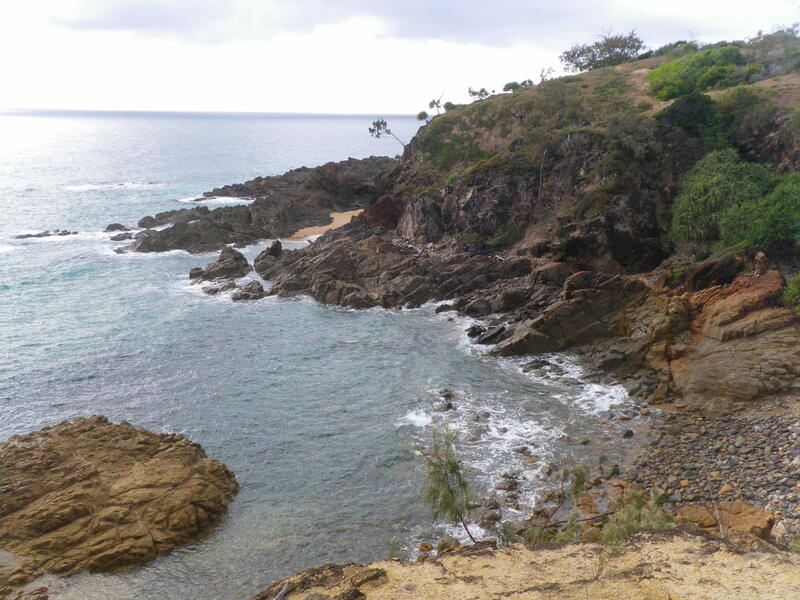 It is a sheltered cove with plenty of bommies and a beach covered on boulders. I started on the north side, fishing from atop a large rock that sticks out into the bay. I was using a new rod – the Shimano Catana Coastline Light. It is a light weight 10’ 6” rod that is rated 3-6 kg. It is ideal for casting soft plastics on 1/8th oz to 3/8th oz jigheads for Dart, Bream and Whiting but it will also land bigger Tailor, Trevally and even school Jewfish, if carefully handled. The longer length means it casts well in the surf. I was using a Shimano Stradic 3000 spin reel – which is probably a bit small for the rod. I had the reel loaded with 12kg breaking strain braid and a couple of metres of 12lb fluorocarbon leader. It was about half an hour after dawn when I started fishing. The first cast produced a fish – a 25cm Stripey or Spanish Flag. These fish are everywhere around the rocks. 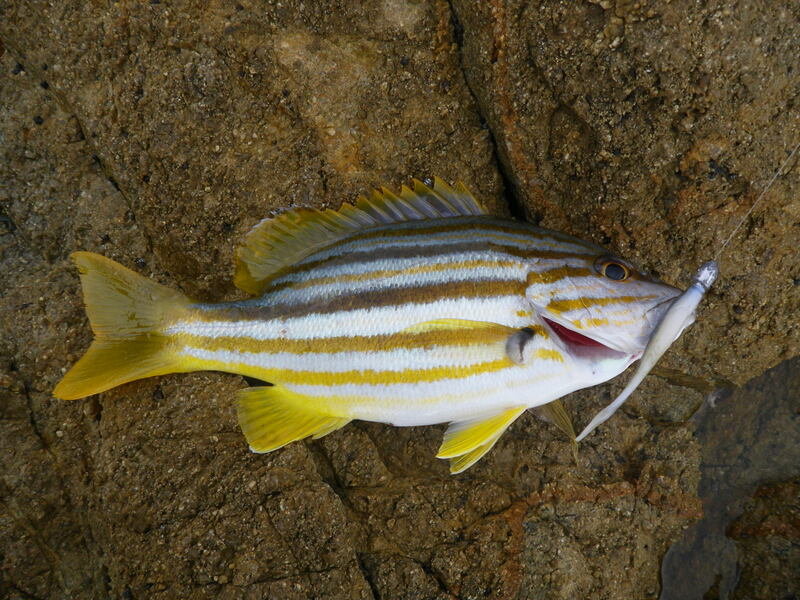 They are part of the Mangrove Jack family and taste fantastic. Unfortunately they rarely get much bigger than 35 to 40cm and when you catch them around the rocks they are usually under 30 cm. The legal size is 25cm but they are not really worth keeping until they reach about 30 cm. At this size they have a couple of decent fillets that will make a meal. I let the first one go and caught a few more on the next few casts. I was using a GULP 3” Minnow soft plastic in the Pearl Watermelon colour on a 1/8th 1 hook jighead. I moved around to the other side of the bay and cast out into the middle. I felt plenty of hits from small fish and eventually hooked a Whiting – also just about 25cm long. A few more followed and I decided to switch to a 1/4 oz blade lure. This immediately attracted the attention of the Dart and I caught several small ones. They did not get any bigger so I swapped back to the soft plastic Pearl Watermelon minnow and moved further round the bay to the next headland. Here, I cast out into the wash behind a half-submerged bommie. I felt a few more hits and hooked up with more small Stripeys. The wind was getting stronger from the north so I decided to give up for the day. I had not really caught anything decent but I had explored another new spot and caught a few fish.